Stevia is a small shrub native to the region of South America where the borders of Paraguay, Argentina, and Brazil meet. The scientific name for Stevia is Stevia Rebaudiana Bertoni. It had been used for hundreds of years by the local people as tea or as sweet agent in beverage and food. The sweet-tasting components in Stevia plant are called Steviol Glycosides, which are mainly concentrated in the leaves of Stevia, and they are some 30 times sweeter than sugar in their unprocessed forms. 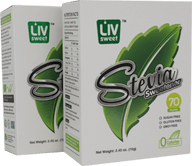 With application of patented process for Stevia leaves, the pure Steviol Glycosides can be extracted and refined to dense sweet powder which is of or over 250 times sweeter than sugar. 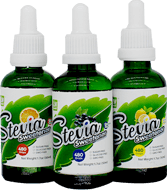 Steviol Glycosides are all-natural from the leaves, containing fairly low calories with zero-glycemic-index. High purified Steviol Glycosides have been used as sweetener in Japan and Korea for decades. With positive safety opinions made by global food safety authorities, including WHO, the European Food Safety Authority, and FDA of the United States, the market has started embracing this new natural source sweetener since the year of 2008. And applications of Stevia expand to wider scopes such as, food production, pharmaceutics, chemical manufacturing, cosmetics, healthcare industries and etc. The first Stevia farming practice in China was made in Shandong province, which was then followed by Anhui, Jiangsu and Heilongjiang provinces in the medium term. Currently, main developments of Stevia are mainly taking place in regions in China’s northwest area, such as Gansu, Inner Mongolia and Xinjiang provinces, where Stevia enjoys excellent annual growth, and sees the largest amount of innovated varieties with high content of Ra varieties foster. As the international Stevia market opens up, the Stevia industry in China is also gaining more momentum, as can be seen, more than 80% of Stevia farming and production capacity are grouped in China, with great progress scored in cultivation and refining skills in the past 20 years. In the year of 2010, China’s farm size of Stevia had reached a historical peak of 370,000 mu (24667ha), which had eventually harvested dry leaves of 96,000 tons, contributing to sales of 5,000tons of Steviol Glycosides of all specifications. In the following years, Stevia yield shrunk year by year, until it came to a pause in the year of 2014. Since after the year of 2014, as are driven by significant increases of demand, Stevia are grown with bigger field sizes, which is estimated to score a new historical peak. The domestic application fields of Steviol Glycosides are drug material and food additives (GB8270-1999). Application of Steviol Glycosides enjoys a history of a dozen of years as in corrective agent for Chinese traditional herbal medicine. For it was limited by application scope and dosage, Stevia was less needed as sweetener in food and beverage. Drinks containing Steviol Glycosides before the year of 2015 were not well accepted in China’s market. 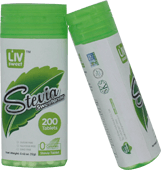 However, since the year of 2016, Stevia products have been making a new life, as are evidenced by big production launch by Lipton and some other domestic brands. News released at end of December 2017, the scope and amount of the application are expanded by the revised China Food additives regulation. Stevia in food and drinks are expected a blooming in the domestic market.